University of Pretoria postgraduate students Pheladi Venda Tlhatlha and Nsilulu Tresor Mbungu have each received a prestigious annual award from the German Federal Ministry of Education and Research for their participation in the Green Talents International Forum for High Potentials in Sustainable Development, which promotes the international exchange of innovative environmental ideas. The award honours young researchers and recognises them for their outstanding achievements in making societies more sustainable. 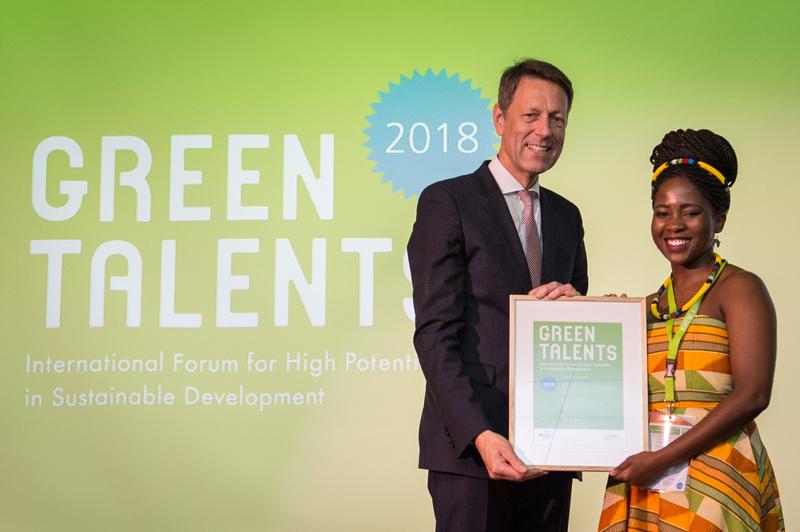 Nominated by a jury of German experts, Tlhatlha and Mbungu were among 25 candidates who received the accolade, all of whom were selected out of 736 applicants worldwide. The winners were drawn from various scientific disciplines and are granted access to Germany’s research elite. They attended a two-week science forum in Germany, from 13 to 27 October 2018, which took them to various hotspots of sustainability science in the country. The forum’s jury acknowledged the relevance of Tlhatlha’s research to Germany. “One of the key factors of sustainable development is collaboration and innovation. Although access to energy in Germany is rather different to the situation in South Africa, the exchange of research and knowledge will be of benefit to energy conservation efforts in both countries,” the jury stated. She is considering either enrolling for her PhD next year or establishing a project that promotes environmental education and sustainability science in the primary and high school curriculum, with a strong emphasis on encouraging skills development and training for young prospective scientists. Electrical engineering PhD candidate Mbungu is doing his doctoral research in power group and smart-grid research. 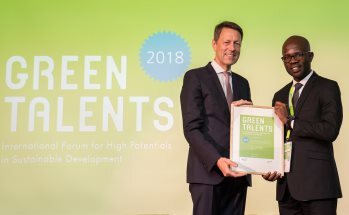 He believes that winning a Green Talents award is an opportunity “to learn new strategies of sustainable development, improve my work through meeting experts and provide me with a strong background for my career, from which people can benefit in the future”. His research involves creating the adaptive system behaviour of the electrical system under smart-grid environment. The work aims to develop sustainable energy coordination by creating optimal control behaviour, which can be implemented inside or outside smart meter devices for micro-grid applications.